In 1945 Graham Winston released the novel Ross Poldark, the first of what would later become a twelve volume saga of regarding the Poldark family. The series was infinitely popular during its time, and went on to become a classic, taken to the screen by many, including my favorite: Masterpiece Theatre. Graham’s work outside the Poldark series is even more extensive – his career as a novelist resulted in over forty titles being published in his lifetime. I’ve run the fiction department of a bookstore for years. On and off since 2007, to be exact. I know the fiction/literature department of most bookstores like the back of my hand. Yet, I’ve never read any of Graham’s work until now – and I vaguely recall only seeing one of his books grace my fingertips ever. His books have never made a sizable appearance on the shelves where I work. Had we seen more copies of his work over the years, I certainly would have read his work by now as he’s right up my alley. Poldark is for the Jane Austen and Bernard Cornwell lovers, a historical fiction piece too wonderful to ignore. Set in the late 1700’s (just a few decades after Outlander), Ross Poldark chronicles the return of the title’s namesake from America, where he’s fought in the revolution and been rumored dead. He arrives to find the woman he loves has not waited so patiently after all and is engaged to his cousin. I love the full cast of this novel, and I assume the rest of the series. Not only does it follow the eventful lives of Ross and his cousins, Francis and Verity, the ex-lover Elizabeth, servants including a scullery maid Demelza, and an entire town of miners living on Poldark land. Graham does a little bit of third person head hopping, but never leaves you confused and maintains a streamlined storyline. I am eager to read the second installment, Demelza, and am equally eager for the second season of the PBS series, Poldark. 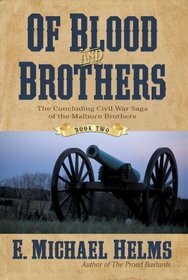 Cup after coffee cup, I drank and read the second installment of E. Michael Helms Civil War series. When life is hard, it’s nice to escape into another century’s problems. I suppose that’s the root of the issue when it comes to historical and science fiction lovers. We like to flee into other eras when humans are the same, but the world is so different. My favorite tidbit about Helms series is that he was inspired by two elderly brothers he once knew as a boy, who had a Confederate veteran father. On his acknowledgements page he tells them, though they are long gone, that “It was your voices that gave rise to the voices of Daniel and Elijah Malburn.” As a fiction writer myself, those tiny details make my heart swoon, because so often we writers are asked where our ideas come from, and so often we are unable to precisely pinpoint it. Ideas sort of sprout and grow from nothing more than a vibe or a passing fancy, very rarely rooted in much of substance other than things our subconscious has gathered and created from nearly thin air. That Helms remembers these gentleman who told him stories as a boy is marvelous to my scattered mind. 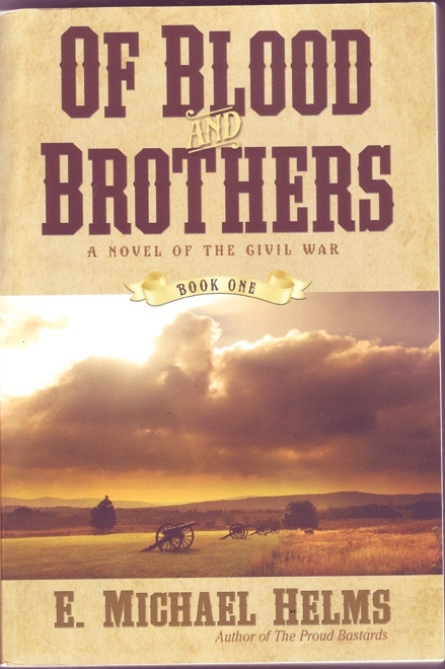 This is a great piece of fiction to add to a high schooler’s American Civil War studies. 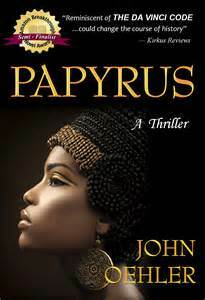 The mind wraps itself around facts and truths of an era so much better when the facts are rooted in a riveting story. My favorite thing to do when I study any time in history is to read a biography or political piece side by side with a bit of fiction. Well done, Helms! Looking forward to reading Deadly Catch , one of another series by Helms that I can’t wait to get my teeth into. I’m pretty terrible about not investigating books before reading them, even more terrible about not investigating them before buying them (or bringing them home). Something moves me and immediately on impulse I add it to my collection. You never know when it might come in handy. It looks like it could be interesting on a rainy day in summer when I have no internet my daughter suddenly finds herself in a nap and my brain is somewhere between writing historical fiction and flying away in a space ship. Oh, and look, that possible moment in theoretical time happened this week. 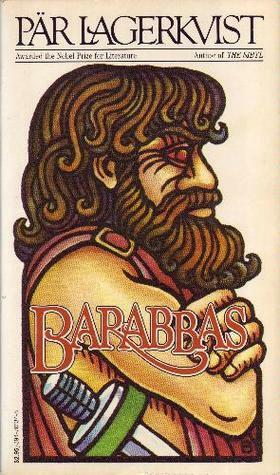 So I picked up Barabbas, a short novel that had some vague ties to an author who had won the Nobel Prize for literature. A thin slip of a thing that might find itself in the donate pile if it didn’t prove itself worthy in an hour and a half. It proved itself. Of course it did. The concept is too fascinating to not earn itself at least 4 stars in my very critical book. 24 So when Pilate saw that he was gaining nothing, but rather that a riot was beginning, he took water and washed his hands before the crowd, saying, “I am innocent of this man’s blood;[a] see to it yourselves.” 25 And all the people answered, “His blood be on us and on our children!” 26 Then he released for them Barabbas, and having scourged[b] Jesus, delivered him to be crucified. Unnecessary Summary: Barabbas was the criminal released instead of Jesus. Jesus was then crucified, the very moment that determined once and for all who would die that day. Of course that’s a little factoid that almost every Christian knows. Many non-Christians probably know it too… Barabbas evil criminal let loose and poor Jesus killed. I never thought about what that would mean. Not just in the grand scheme of things, but in the small ways that are epic to one and often meaningless to the masses. Barabbas – how did Barabbas feel? I never thought of it until Lagerkvist made me think about it. I picked up the book, understanding who the title referenced, but not imagining that it would be a historical piece on the person referenced – on his life, on his feelings, on his thoughts after Jesus took his place on the cross. Literally, not just in the spiritual salvation way, but physically died in his stead. So many times we are encouraged to ruminate on Thomas (who doubted) and Peter (who denied). The thief who was admitted into paradise at the last minute, hanging on the cross next to Jesus, he’s a really big deal in the church. But Barabbas? Barabbas was just a bad dude who should have hung and died instead of our innocent savior… Really? What does that look like? Lagerkvist tells us his version of what that looks like. This is a fascinating tale documenting the evolution of a person’s heart, the confusion of their mind as they try to sort out philosophical things in the midst of chaos and history being made. I’m startled by such a remarkable portrait. It came out of left field. It’s been sitting on my shelf for God knows how long. And it was stunning. The moral of this story: Lagerkvist is a keeper. There’s a reason he’s an award winning author. There’s a reason his book appears on the 1001 Books to Read Before You Die list. He’s pretty incredible. I broke my Kate Morton rule. 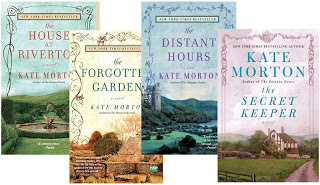 I read TWO Kate Morton novels in a 12 month period. And it was wonderful. Forget my previously mentioned warnings to space out her books as long as it takes her to write them. This was a perfect winter read, she sucked me in – as always – and I found myself thinking it was her best piece since The Forgotten Garden. Don’t I say that every time? Semi side note: Is it just me or is NaNoWrMo distracting as all get out. I write 2k words a day on average – granted, not all usable, obviously – but every time I open an email for NaNoWrMo I find myself reading and sifting through a bunch of stuff and not getting ANY writing done at all. It’s fake motivation for me. It’s a complete and utter distraction. Like going to a pep rally. I’m more excited for a football game when I’m at the football game, but if you push me through the noise of a pep rally I just don’t feel like going anymore. SO counter productive. You really want to be motivated to write? Read a good book. Read a really good book. Find someone who just moves you and you can’t help but think – I want to do that. Not exactly that, mind you, I want to write my own stuff. But I want to get a story out that moves people the way I’ve just been moved. Or excites people the way I’ve just been excited. The best motivation for a storyteller, I think, is to hear/read a good story. Kate Morton’s stories are always good. No, not good, GREAT. She weaves through time with the skill of a T.A.R.D.I.S. and the hearts of a TimeLord. She is always a master of her chosen histories and reveals stories with an onion layer effect that always makes me giddy. The best moment of every one of her books is the, “I knew it!” moment. I love that she feeds you all the details but somehow leaves you thinking she might just surprise you – even though you don’t want to be surprised because you need to be right about this one detail that has dropped bread crumbs all over the story but hasn’t outright made itself obvious. Click to read another blogger’s review. Even more than that, though, is Morton’s uncanny ability in every novel to write a character that feels so overly familiar to me. Or, if not familiar, someone I want to be familiar. The Secret Keeper had a lot of familiar faces from my real world. 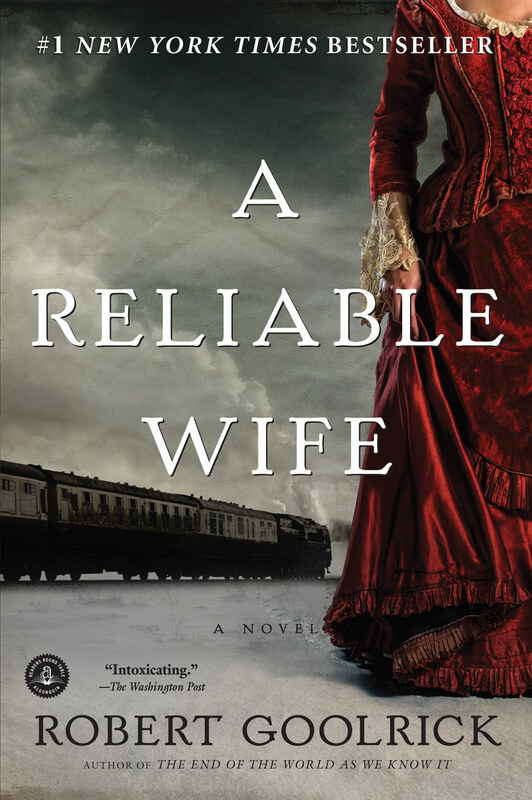 Kate Morton writes my favorite general fiction sub-genre. Did you grow up reading Jane Eyre, Wuthering Heights, and the Mysteries of Udolpho? Just before your reading level allowed the immersion into those worlds were you held captive by The Secret Garden, gothic ghost stories, and possibly some Anne Shirley who was a hopeless book-nerd and romantic? 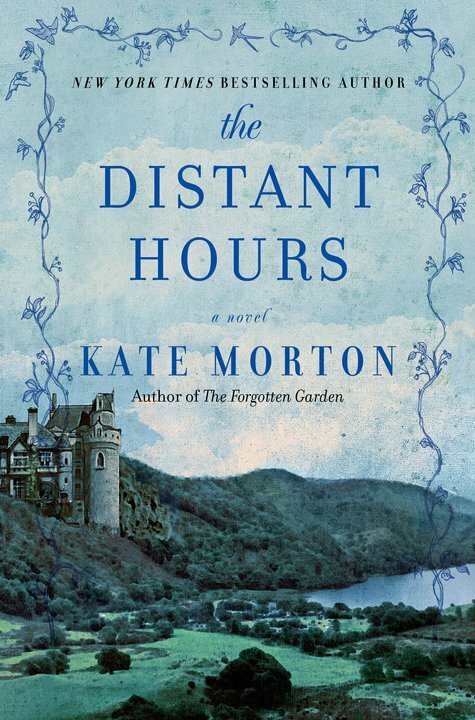 Kate Morton writes these tales, all grown up and contemporary. And they put me out of commission from line one until completion. I have loved every story I’ve read by Morton. They are each one incredible and amazing, riveting and beautiful. The Distant Hours was no different. Except I figured it out far too soon. I spread a lot of work out by authors to keep this from happening. I have a rule about Morton, that I must give at least a 12 month break between books (which works out well because she takes just the right amount of time to write them and makes this not only possible but necessary). This rule also keeps my husband sane, as I get completely lost in Morton and am completely gone from this world until her stories have ended; and even when they end, I have a nostalgic resignation that is hard to kick. Morton’s layers are deep and onion-like, piece after piece of the puzzle is laid out for you over the course of the book. Always leading up to the moment when you are presented with the facts of the matter, revealed to you with a shudder of lovely understanding of everything all at once. But I figured out The Distant Hours too soon, I think around the the two hundred page mark or so rather than the typical five hundred mark. Of course, I still had to read every word after my realization to be sure I was correct. I half expected her to shake me up a bit, and she tried! But in the end, I was right! I still LOVED this book. It is highly recommended to any gothic loving book fiend, or even World War II reader… if you love castles, are a British bibliophile, or just plain love a good story about people. 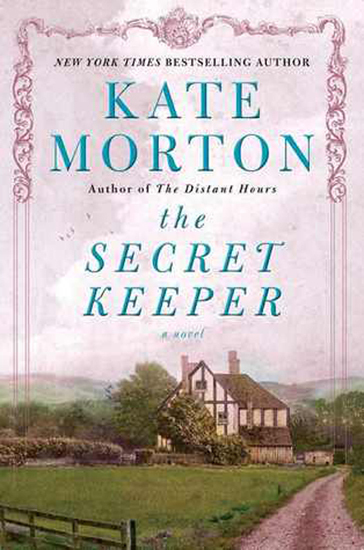 I recommend ALL Kate Morton books. If I could write half as well, I’d consider myself a success! I just also had to note that this being the third book I’ve read by her, I felt like I figured her out. Still, looking forward to The Secret Keeper. When I first selected March for the HPB Humble Book Club, I wasn’t fully aware of what I was getting myself into. I knew two things: it had been on my TBR for quite sometime and it had been quite popular with private book clubs in the area. By the cover and Geraldine Brooks reputation, I assumed it was some kind of historical fiction and that it was most likely to be something I considered good. I had not yet discovered that it was the story of Mr.March while off at war and Marmee. I did not realize I’d be reading back story on characters I’ve loved my whole life. Geraldine Brooks’ writing is impeccable, amazing. It should be, she won a Pulitzer for this incredible book. I love the story. I was ten when Susan Sarandon appeared in Little Women. It was not the first version of the movie I saw, nor the last; but as I watched the movie and re-read Little Women for the first time she became and still remains my favorite Marmee. The problem is, I had an image of these wonderful people in my mind, an image I held onto for years and years. From the first time I read the book to the last time I re-read the book, through every movie adaptation, Marmee and Mr. March, though less present than the other characters, were pillars of perfect parenting, virtue, and strength. Brooks doesn’t take that away exactly, but she makes them so human it’s a bit disconcerting. At the same time, there’s something magical about the way Brooks has managed to weave a new tale from and into an old one. To take a small little quote about the girls missing their father who was so far away where the fighting was and turn it into a very distinct and unique piece of work, to read the telegram insisting Mrs. March go to her ill husband and have a whole life story revealed, it’s simply breath-taking and a bit of genius. It is all very excellent. It just isn’t what I had imagined for them myself. Granted, many say Brooks based the story off of Louisa May Alcott’s own family life, as Alcott had written Little Women with the same background in mind. With that said, it stands to reason that Brooks book probably honors the author and her own imagination well. Still, I go back to my eight year old self (the first time I read Little Women) every time I re-read the book. The magic of books is that they may always take you back to a moment, a bit of time in your life where your mindset was a certain way, the feeling you had the first time you read those lines… like a song that gives you chills decades after it has made you cry. Geraldine Brooks’ March, though beautiful and epic, doesn’t fit with my eight year old Little Women reading self. There’s a disenchantment there. The book is a dichotomy that flusters me to my core. To love a book so much and to be equally indignant about it is frustrating. I plan to read Eden’s Outcasts next. It is a biography of Louisa May Alcott and her father. There will be a meeting to discuss March at Half Price Books in Humble at 7:30 pm. Join us!